No Official Post on this yet, and still very beta. Mapperz tries to do a UK based version but either no sponsored 'paid' links or is refined to USA only so far. There is not a lot of code or details how and when ads appear. There have been a few suggestions on the Google Maps API group. It's seems to be based on the text associated with the page, which is okay, though prefer the AJAX Search ads method based on the users search. A great potential to get your maps making money while you sleep! 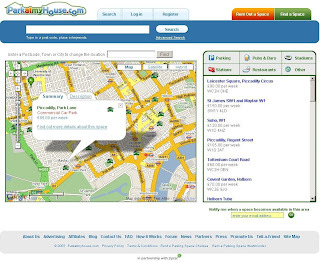 Kwik Fit uses 192.com Mapping for their website and works well. 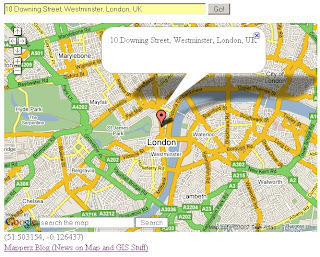 These features make 192.com Maps a dynamic user experience designed specifically for the UK market. "192.com is today announcing the first in a series of major improvements to its maps service, first launched last autumn and experiencing a surge in traffic in recent months. 192.com has republished all of its street maps after exclusively redrawing every UK map to incorporate the latest Ordnance Survey data and ensure street labelling was in an easy to read format. 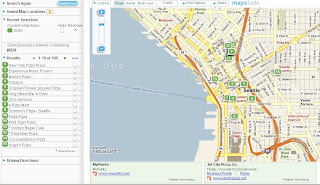 192.com is unique on the internet for labelling 100% of UK streets (typically rival sites name 70-80%) and so uses hand drawn labelling particularly for crowded, historic cities with many street names in close proximity. 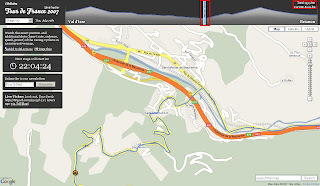 The colouring of the maps has also been optimised to suit motorists and non-motorists alike and to accommodate the changing requirements of computer and mobile screens. The aerial photography, already acclaimed as the best available for the UK, has improved further and offers unrivalled clarity and resolution nationwide, not just in cities. But it’s the transition between maps and photography that really sets 192.com’s new maps apart, with the smoothest, cleanest transfer from map to map, and map to detailed aerial photography." Having looked into these at more detail there seems to be a lot going on under the hood. Though a quick start tutorial with live example would aid the non-experienced programmer. Clearly the mapping is excellent and well put togeather and seems to be the only online mapping fully based on Ordnance Survey Mapping. This must of cost a small fortune to buy or licence. 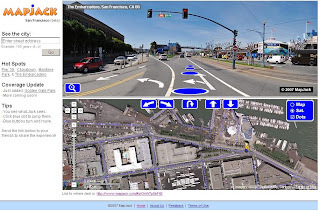 An interesting mock up and revamp of Street View in Google Maps API. This is very easy to use and is very responsive to the users input. Street View just got even easier. 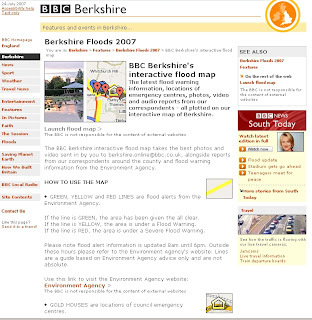 "The latest flood warning information, locations of emergency centres, photos, video and audio reports from our correspondents - all plotted on our interactive map of Berkshire." Thanks to Ed Parsons for finding a map that is more useful and up to date than the Official Government Websites. "More than an inch of rain is set to drench the city and this rain, combined with the water that has already poured into the Thames, could burst the river's banks in southwest London. A flood warning is already in force in Staines and Shepperton, and hundreds of homes could be flooded in the next 24 hours." If your wanting maps of the floods, your out of luck, currently there are no public out of copyright maps available online that shows live information. Interchangeable, waterproof and shock-proof module, from one shoe to the next"
But can it recharge by walking? Which shoe has the chip either or both? "ParkatmyHouse.com is a brand new and innovative service which aims to provide affordable and penalty-free parking around public venues by enabling property-owners to rent out their empty driveways, garages, car parks and other spare pieces of land to drivers needing somewhere to park. Motorists and cyclists on their way to work, a big sports match or a hospital appointment for example, can arrange to use a property-owner’s space on a one-off or regular, short-term or long-term basis. Underground and garage spaces offer drivers the added benefits of shelter and security for their vehicles." 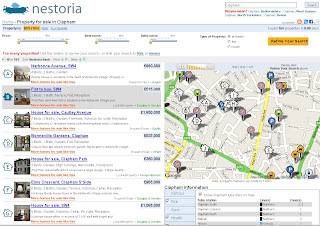 Nestoria have recently integrated all of our (parking) spaces in to their website. Do you need a flat in Victoria? Well now you can also find out where you can park, be it in a commercial car park or at one of our user’s many driveways. 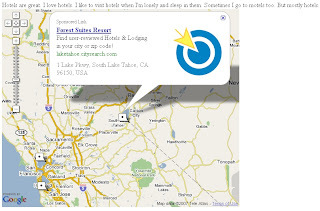 Simply click on the Parking tab below the map, and nearby parking opportunities are displayed as pins on the map as displayed on the image below." Only a suggestion but Directions is a potentially useful option, how far to the parking location from where I am? come back in 22 hours when the next stage is live to see live tracking. 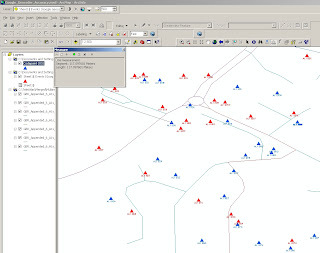 NIM005448 - X/Y values do not change when you select different Anchor Point icons for a box drawn in ArcMap 9.2. Fixed! NIM001528 - Persist the units that the user chooses for distance and area between ArcMap, ArcReader, and Engine sessions so that the user can set the units once with the Measure tool and not have to set them again. NIM005560 - Selecting one feature selects everything on a layer connected by an OLE DB connection. 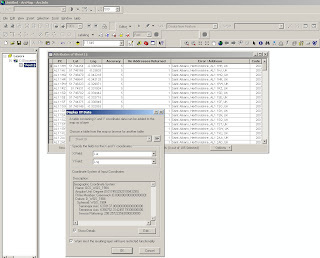 NIM006169 - Export Data from an events layer created from an MS Excel table with a space at the end of one of the field names will cause ArcMap to crash. NIM007052 - The order of Legend Items does not always match the order of Map Layers. NIM008619 - ArcMap may crash when editing compressed data. NIM008671 - Intersect with three or more layers, if one of the layers is points, causes the output to be empty. NIM008729 - A compressed file geodatabase table or feature class containing text fields with long lengths, such as 2147483647, cannot be read. If you right-click the dataset in the ArcCatalog tree view or attempt to preview the data, ArcCatalog crashes. This occurs in 9.2 SP2 only. NIM008777 - If you create a selection and delete selected features from the attribute table in the selected view, ArcMap 9.2 SP2 will crash. NIM006393 - The horizontal ruler in layout view does not automatically update with changes to ruler intervals. You would think these service packs would get smaller the but seem to get bigger. Have a set of addresses or postcodes ready. Copy and Paste in the top light blue box, wait until the alert shows the copy and paste from the bottom green box into a New Spreadsheet. 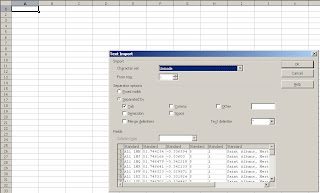 Paste into Open Office Calc or Excel with the correct delimiters. 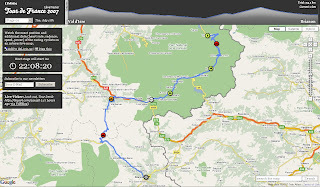 Use Add XY Data add the data by Lat/Lng and an event theme will be created, this can be exported out as a shapefile or geodatabase. This compares Codepoint (accurate to 100m) to the Google Geocoded Postcodes and there is approximately +/- 150 metres error in their location. The method is useful for small datasets, depending on your use. It could be easily changed to load the geocoded data into a MySQL or Postgres databases for spatial retrieval and added back on to web mapping applications. Yahoo does Geocode UK Addresses (in some cases more accurate) but it's limitation is that it can only be used on it's on Mapping API and the Geocoder is limited to just 5,000 requests per 24 hours. "Web-based version of the SuperPages. 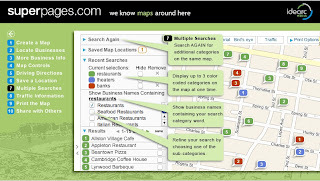 Uses Virtual Earth mapping technology to find businesses and services in your area. Driving directions, hours, and more are provided. Good wifi finder." Clunky at times, sends you off to different locations at times. Limited to the USA in Content. But has potential in beta2. "We're quite proud that the Google Maps API community is an active bunch in Europe, and particularly, the United Kingdom. To thank all those enthusiastic developers in the UK, we're happy to announce that the Maps API geocoder now supports address geocoding for United Kingdom addresses. I can now geocode all the places I've visited recently: London, Salisbury Castle, Ipswich, Box Hill, Stonehenge, and my relatives' house in Cambridge (not telling the address!). 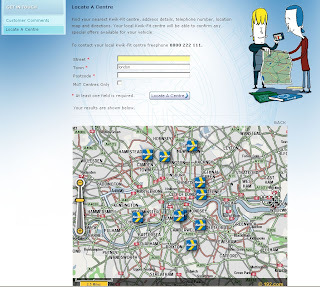 Try it out with your favorite UK addresses or places below: "
A recent article on this Mapperz Blog showed OnOneMap Maps (using Google Maps API) was better than the Environment Agency own Online Mapping. "We have had to withdraw our popular and innovative flood map layer, ironically and sadly during one of the worst periods of flooding the UK has ever experienced. 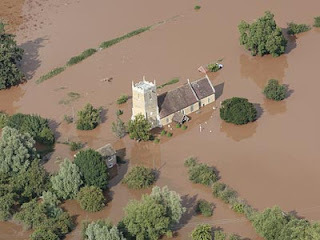 The Environment Agency claims they have copyright over the information, and despite the fact that tax-payers’ money has paid for it to be collected in the first place, apparently the tax-payer cannot benefit from innovations like our housing and flood map combination. For more information on the lack of access the British public have to their data, visit The Guardian’s Free Our Data campaign." Mapperz hoped the Guardian is reading about this! Free Our Data Please. So we can make use of it and provide useful services to the public - like property mapping. Knowing if your house is 'likely' to flood before buying it. 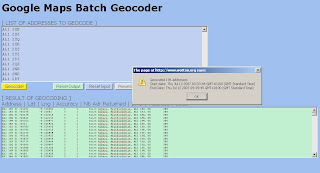 Intelligent Free UK Geocoder - All in One. 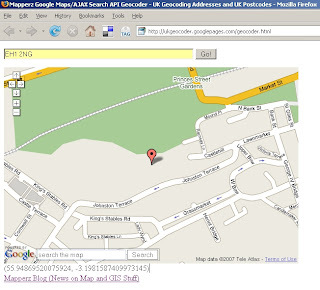 Mapperz looked into revamping the UK Geocoder. and now rolled it into one. 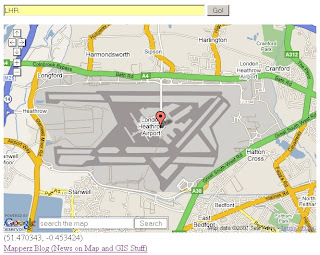 You can now search UK Addresses, UK Postcodes, Global Airports and Global Place names and find the Latitude and Longitude for all of them - to those who don't know what this is called, it is called Geocoding. Now how about a large sporting venue? Please note if you move/pan on the map the lat and lng is automatically updated. This is simple and smart. Hence why Mapperz likes it. 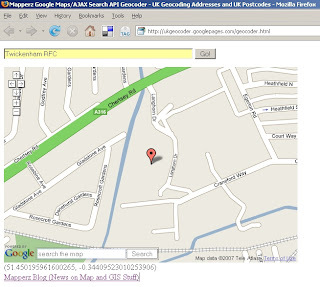 This is using Google Map API and Google AJAX Search API - Local Search which was improved for UK last week. 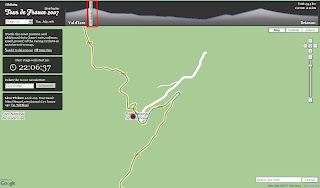 Mapperz just displays the returns the Latitude and Longitude at centre of the map after the information is parsed and centred using Local Search. to remove the icons - just reload the page 'Ctrl F5'. 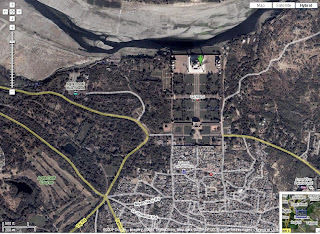 India Points of Interest (POI) and addresses are now searchable. Click the image to see it live. Okay in simple terms why Mapperz bought an N95 and not an iPhone. Wifi -Wi-Fi (802.11b/g) no n? 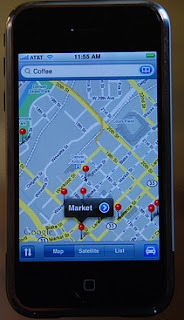 If your going to have mapping on your phone, you want to know where you are, not Steve Jobs Office Location. Just this one missing feature stops Mapperz pursuing the iPhone. 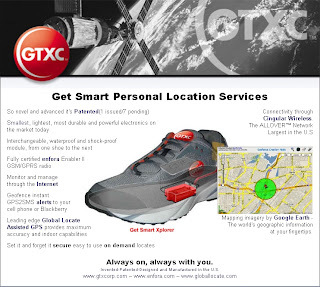 Location based information is useless unless it is providing information around your position or desired destination. Now if Nokia and Apple produced a product together then it would be a better solution. But this is unlikely. The N95 has done and is still doing it's job, however the information that phone has in its needs to be updated and cleaned. It is only a computer and can only give you the information it has. 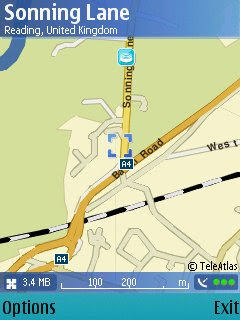 Built in Maps - if you pre-load onto your memory card. Lots of supported software available. Mapperz own views, comment if you like.